Majestic custom built 3280 square foot home/farm on 49.59 acres. Upgrades galore, beautiful rolling land with stocked pond. 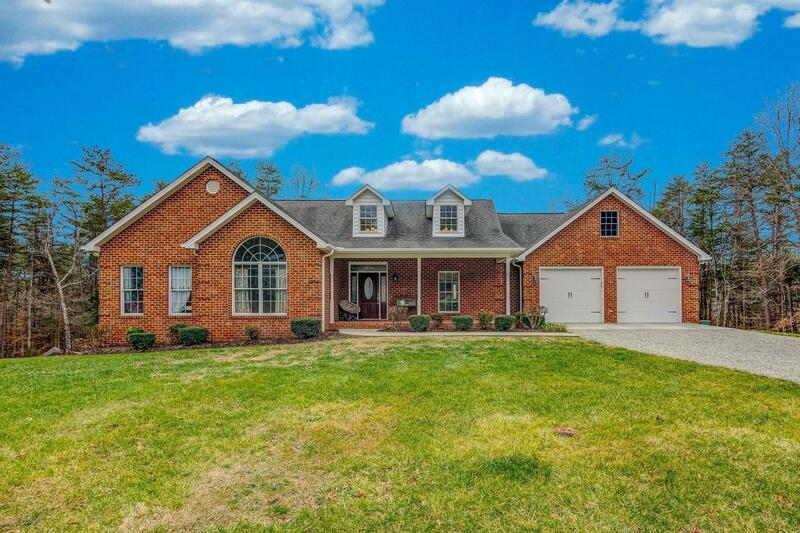 Brick to grade, master bedroom, laundry, and 2 car garage on entry level. great room with stone fireplace, open floor plan, kitchen with cherry cabinetry, 5 eye cook top, canopy exhaust fan. Cathedral ceilings in great room & master bedroom suite, ceramic & hardwood flooring, 3 bedrooms (4 bedroom septic). Lower level great room with kitchenette, bath, and potential bedroom. Lower level two car garage. Wired for generator, whole house humidifier, trusses, 100 gallons per minute well. Detached 32x48 building with 16 foot ceiling perfect for camper, RV, etc.